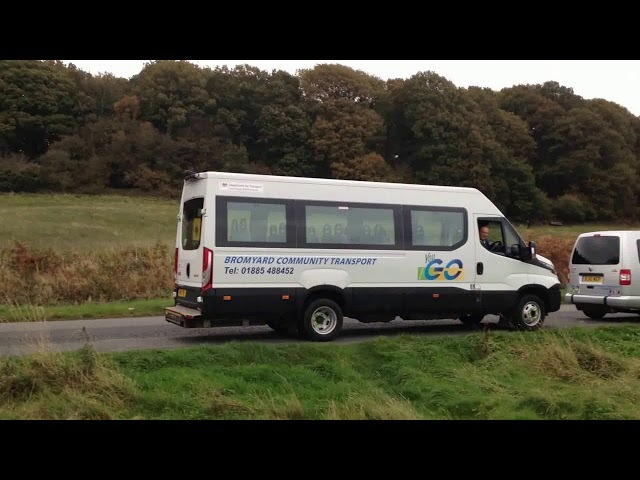 Bromyard Community Transport – Community transport provider in Bromyard, Herefordshire. We help overcome transport problems for anyone, young or old, with or without a disability or who simply do not have access to a car or to public transport. Our aim is to help our customers maintain an independent lifestyle, reducing loneliness and social isolation and enabling residents to feel part of a thriving community. Volunteers are the lifeblood of our organisation. We always need drivers to help those in need to get out and about, to keep our rural community connected. Do something amazing and volunteer today. I rely on shopping trips, I have no car of my own now, the drivers and helpers are wonderful. I had to attend an induction course for new work and from my home there was no suitable public transport. You were able to take me door to door, such a reliable service and the driver was on time and very polite.